so I need information from e-bike owners. 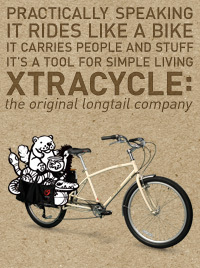 I don’t own one; I ride a cargo bike, so I don’t have any first-hand experience. I’ve the questions here so that people can answer them in the comments, and so that they can send the link around to other e-bike owners. I’m most interested in feedback from people in the Boston metro area, but feedback from other areas helps, especially if you can provide contrast with Boston (e.g., it’s hilly in West Virginia, it’s very snowy in Buffalo, it’s hot in Houston). If you prefer not to answer in the comments, you can mail them to me at dr2chase@mac.com. What motivated you to try an e-bike? Was a hill too steep, or a commute too long, or were kids too heavy, or did you need to arrive at work not too sweaty? Have you had your bike for long? Is it reliable? Can you describe how you use your e-bike? That is, do you ride for fun, or for commuting and errands? Do you ride every day, once or twice a week, or less often? Are there hills or long distances involved? Do you carry heavy loads, or children? How does the e-bike help this? May I use your name or initials in the article? May I describe your situation in some detail, rather than general terms? Thanks you for your time. If you would like a copy of the article, please mention that in the comments or email. I both drive cars and ride bikes, and for years I didn’t think much about how much driving a car impairs all your senses, as well as your ability to communicate. To hear how other people talk about traffic and safety, I think I’m not the only person to miss this. Where this usually comes up is in discussions of rolling stops, and stop-then-go at red lights. The claim from cyclists (and this claim is absolutely true, which is why I’m writing this) is that they generally can see and hear better than people in cars, and thus are in a better position to judge if it is safe to go or not. This is one of the several justifications for the Idaho Stop Law. So, vision. Someone riding a bike is as tall as they are standing up, if not taller. To stop, most people must hop off the saddle because they sit too high to reach the ground with their feet. Modern sedans tend to be about 4-and-a-half-feet tall (I just measured a Civic and a Camry), so whoever is sitting in them is shorter than that. On a bicycle, seated, your head is about 3 feet back from the front edge of the bicycle, but it’s easy to lean forward to within about a foot of the front. In a car, leaning forward gets you to the windshield, which is five feet back from the front of the car. Add to that whatever fog or dirt happens to be on the windshield and the windows, plus the various pillars and mirrors and fuzzy dice, and I hope it’s clear that the cyclist has a far better view of what’s around. Next, hearing. Luxury cars are actually marketed for their ability to make you deaf to the world. That ought to be enough right there, but I’ve actually mentioned this to a degreed+prestigious colleague whose snap reaction was “no, I can hear okay in a car”. No, really, you can’t. Even without luxury soundproofing, cars have noisy engines, ventilation fans, tire noise, often a stereo, and quite often their windows are up. All these things act to block exterior sound. On a bicycle, the default is that you hear everything. There’s wind noise when you’re moving, but stopped at an intersection there’s nothing between you and the world and the bike is silent. And you might like to think that maybe hearing doesn’t matter–after all, we let people who are deaf drive and ride bikes–but it certainly does. When I approach intersections, I can hear cross traffic coming before I can see it; that’s redundant safety information, which is a good thing. I can hear cars approaching from behind, and tell if they’re slowing or swinging out into traffic to pass, and I can judge the size of the car or truck as well (big trucks without sideguards are very dangerous). For pedestrian safety being able to hear matters, because I can carry on a conversation with the people around me. “I see you”, “go ahead, it’s a crosswalk, I’m stopping”, and of course “oops, sorry”. I can communicate with other cyclists, “there’s a blind woman walking ahead of you” (in the dark). All the sound signals that we’re supposed to legally make when approaching pedestrians are useless when approaching cars because drivers are effectively deaf. All the communication that’s easy with people around us is impossible with people in cars. People on bikes also see more because of their ability to always position themselves near an intersection before stopping. That means we always get to see the light cycles and light timings, and even if we haven’t learned them all yet ourselves, we can see how other cyclists react to them. We don’t need to catch sight of landmarks as we drive through the intersection, because we always have plenty of time to look around at the front. Once you know the usual timing for a light (easily derived from countdown pedestrian timers on the street and cross street – which you can see because you are stopped at the intersection) you can also judge from quite a distance the appropriate speed to make the next light, which allows you to moderate your speed to only what is adequate to catch the green. Lower speeds make for easier pedalling, and are also safer. I had meant to make a much longer rant about “windshield vision”, but I think this is good enough for a start. You might ask yourself, if you could drive and fool yourself into thinking that you weren’t half-blind and mostly-deaf, and not realize what you were missing stuck back in a line of traffic, if you might not be self-fooled about some other things. If your reaction to the facts stated here is that they’re the crazy opinions of one of “those cyclists” – don’t forget, I am a licensed driver, I drive often enough, I own a car, and this is true of most adults riding bicycles (knowing this stuff makes driving a lot less fun. Don’t expect any auto advertising to mention this ever). Bonus sensory deprivation video, in case you still don’t believe me: watch the second driver in this video roll right over a bicycle and a bicyclist’s foot, and not be able to believe she did it. Said bicyclist has right of way, in clear daylight, riding straight on a straight road, wearing a dayglo-yellow jacket, with a front flashing light. The second driver did not see, did not hear the crash, did not hear the crunch of the bike as she drove over it, did not hear the guy she was running over yelling at her. It occurred to me a few days after posting this that “people on bikes behave unpredictably” is consistent with “people on bikes make decisions based on information I don’t have”. Probably not the only explanation, but worth thinking about before jumping to pejorative conclusions. I was thinking about how we would deliver goods in a hypothetical ban-cars world, and realized that people on bicycles carrying stuff are not a bad model for what robots might also deliver on vehicles of modest size. Because we don’t normally see huge deliveries on small vehicles we tend not to think that it’s possible, or even when we do see it shuffle it into the ignorable category of “crazy”. But it is possible and it happens, whether we believe it’s “crazy” or not, and if you want to think about what a small robot vehicle might be capable of, it helps to remember that a human is a somewhat idiosyncratic 250 watt motor, and that a robot running a 250 watt motor and carrying 100lbs of batteries has similar capabilities. So, what can humans carry on bicycles? People carrying that much stuff don’t move very fast, but they move, and there’s no particular reason for a robot to travel quickly either; there’s no driver being paid by the hour, and it reduces the risk and severity of any possible crashes.